In the Know with Clifford Banes on the Onion takes a look at wind energy and dependable coal. 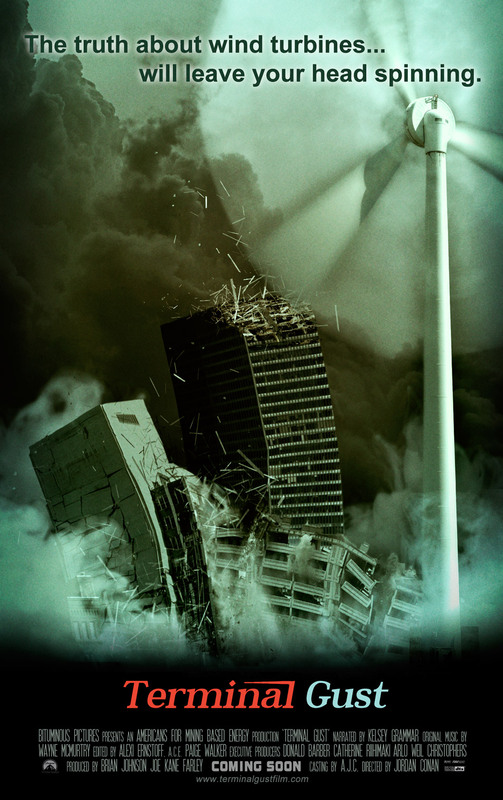 Wind is just too dangerous and by adding so many new wind turbines the planet could actually be knocked out of orbit. Madness. Wind Farms May Blow The Earth Off Orbit. This entry was posted in Air, earth, the hungry brain and tagged air, Earth, Society, sustainable. Bookmark the permalink. HA! That was great! Thanks for the link. Very entertaining video – a breath of fresh air. LOL! I was taken in for quite a while there! I believe there may be something to all those turbines making atmospheric changes but the video seems sarcastic about the subject. I’m confused now. Sadly, that is probably the intent of those who say daft things like “propellers make things move… let’s not blow the Earth out of its orbit” *cough* American Coal Lobby *cough*.